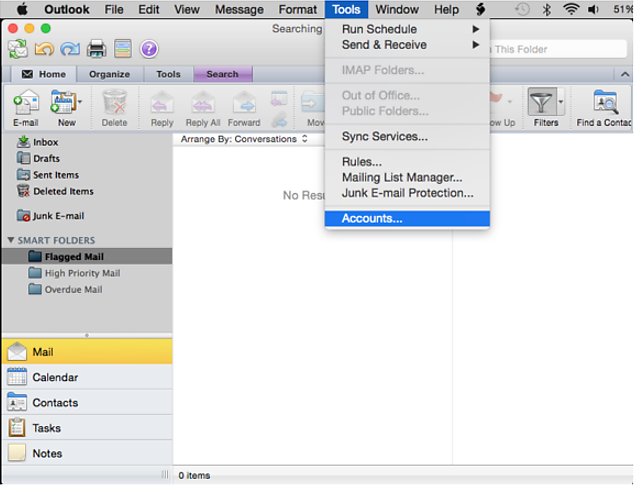 Today we talk about how to configure Outlook for Mac with your Zimbra mailbox. 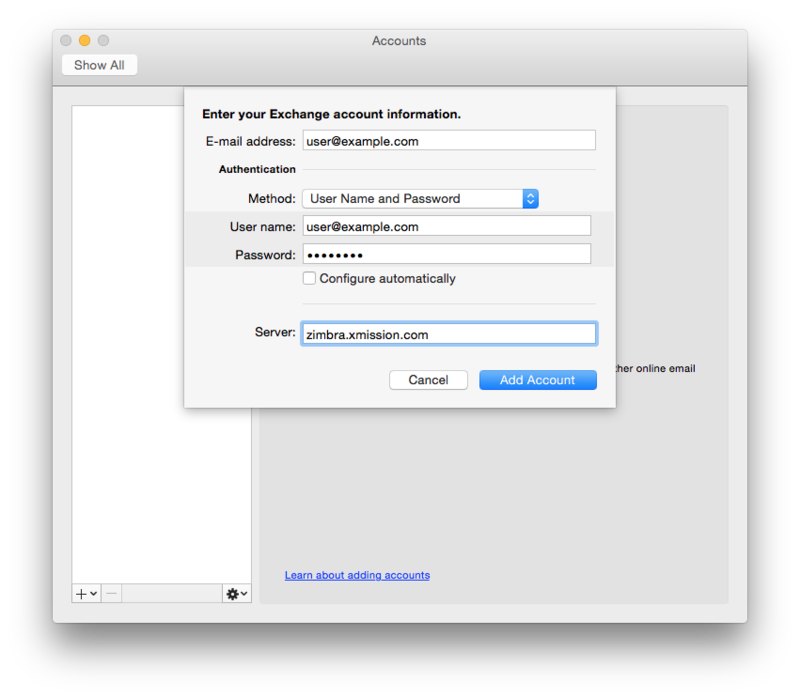 Microsoft Outlook for Mac functionality requires Microsoft Exchange Web Service (EWS) licensing to be activated for your mailbox on the server. Domain admins and mailbox owners can contact XMission to add the feature to Zimbra Premium or Personal Premium mailboxes. There is a small $0.25 per month charge for this licensing. 1. 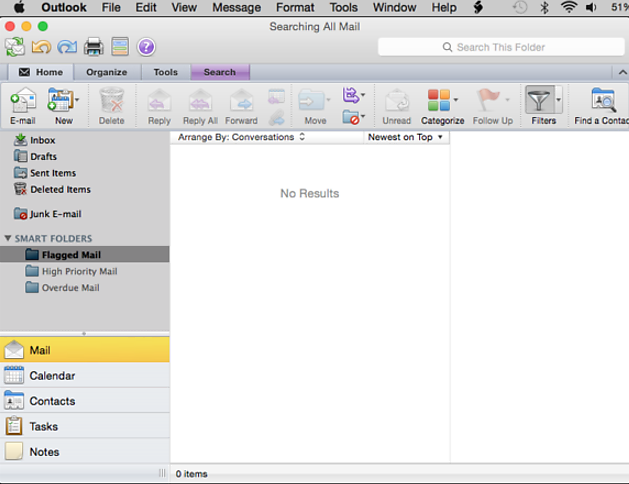 Open up Outlook on your Mac computer. 2. Click on “Tools” and click on “Accounts…”. 3. 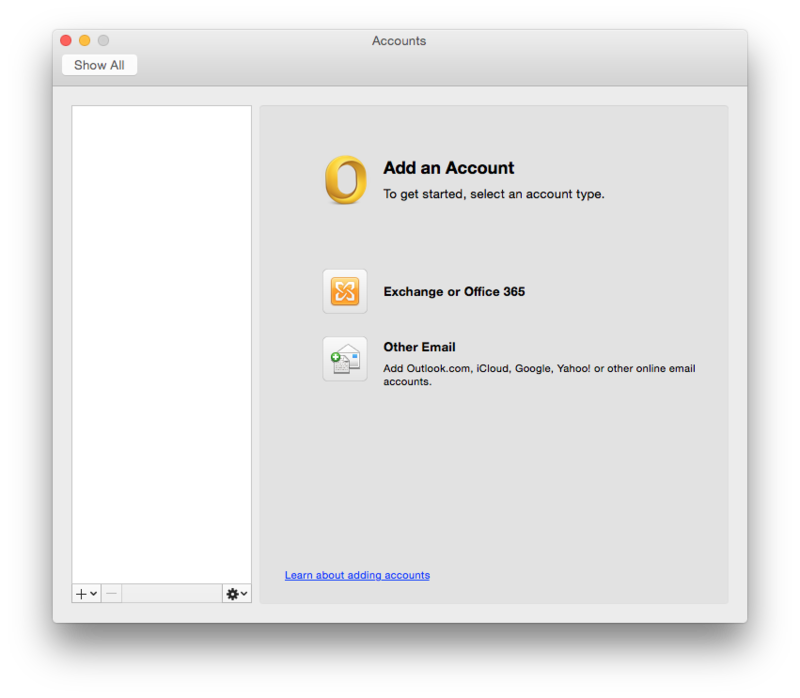 In the window that opens, click on “Exchange or Office 365”. 4. The next windows ask for the account information. Fill in your information accordingly, just like the image below. Make sure that “Configure Automatically” is unchecked, the server field won’t show until you do. When you’re finished, click “Add Account” and you’re finished! Don’t forget, XMission technical support is here for you 24 hours-a-day to help with any Zimbra support questions. Articles like this and other useful Mac configurations can be found on our support wiki. Please leave comments, post questions, or share your experiences below.